I’m not going to give you a set fat loss program to follow. Instead, I thought i’d take you through the basics of making your own program. This way you can take your existing diet and tweak it, rather than following some new diet with a bunch of foods you’ve never tried (or don’t like!). Before we begin, it’s useful (but not essential) to know how much you weigh. If you want to follow the calculations later on it’s best if this number is in kilograms. The other measurement that helps is your calorie intake. Calories are units of energy, and how many you eat in a typical day will determine whether you gain weight, lose weight, or stay the same. The BEST way to do this is to record ALL the food and drink you have every day for a week and take the average. Otherwise an estimate can be obtained from an Online Calculator. So the NUMBER ONE principle for losing weight is to create what’s called a calorie deficit. Calories are units of energy, and fat is just stored energy. If you’ve got excess body fat, it’s because you’ve been taking on more energy than your body needs, and so it’s storing the extra energy as fat. This is called a calorie surplus, and it’s what leads to weight gain. If you need 2000 calories a day and you’re eating 2100 calories, then you’re going to put on about a pound of fat every month. That’s because we know one pound of fat contains 3500 calories. If you need 2000 calories a day, then eating 1900 calories a day is putting you in a calorie deficit, and over a month you’re going to lose that pound of fat. To create a calorie deficit, it helps to know how much energy you actually burn in a day. The online calculators are very basic and could be wrong by several hundred calories, but they give you a rough idea of your calorie needs each day. Your body is actually pretty good at regulating your calorie intake, so if you tracked your food for a whole week and found the average, that will probably be better than any online calculator. Now let’s say you counted calories all week, took the average, and it turns out you eat 2,400 calories a day. If your weight has been steady recently, then 2,400 is your maintenance level (how many calories your body burns in a day). If you’ve been gaining weight then 2,400 is probably more than you need, in other words a calorie surplus. There are now TWO ways to create a calorie deficit. For most people a combination of 1 and 2 is going to work best, particularly if you don’t do any exercise at all. 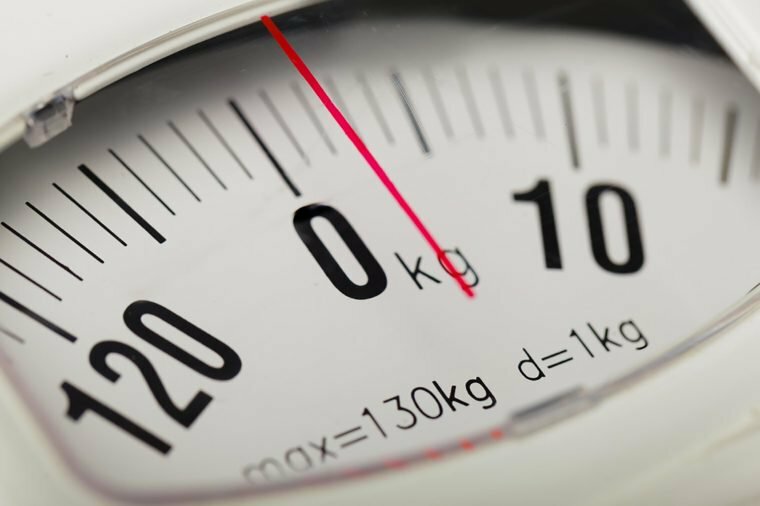 It is entirely possible to lose weight without counting calories. If you eat the same foods every week, then a smaller portion of the same foods is going to reduce your calories. If you snack between meals, then removing those snacks is going to reduce your calories. If you substitute in new foods that contain fewer calories, that’s going to reduce your calories. However, I like to count calories for two reasons. It takes all the stress out of meal selection. I don’t have to guess what I should have for dinner, or whether i’m really hungry before bed because i’ve not eaten enough during the day. Macro-nutrients. Calories are only part of the equation, and how much protein, carbohydrate and fat your food contains will make a big difference to weight loss. A third reason could be to shine a light on any ‘hidden’ calories. My friend thought her King Size Pot Noodle at lunch was about 250 calories. The label’s right there, she just never read it. It had about 550 calories in it, so Monday to Friday she was taking on 1500 calories more than she thought. Counting calories raises your awareness of how many there are in certain foods, and that alone could lead to healthy swaps that make all the difference. 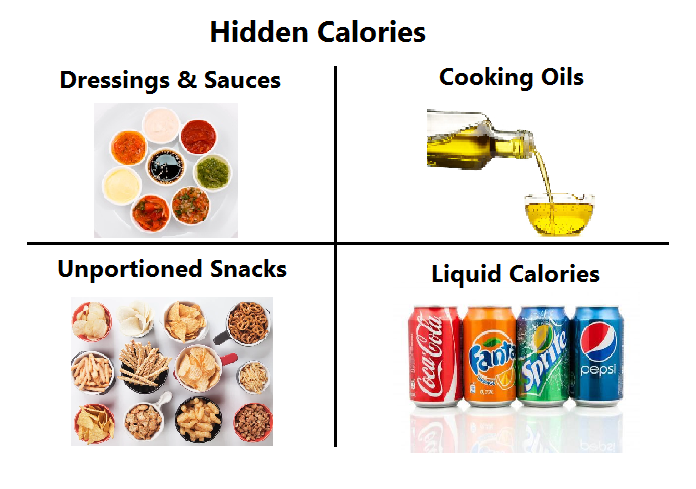 Hidden calories are just the calories that most people forget to include when counting at the end of the day. For calorie counting I use MyFitnessPal, which is a mobile phone app. It takes a minute or so to add a meal, which I normally do while i’m eating so I don’t forget. It has a bar code scanner for labels and lets you select the portion size. If I make something at home I also weigh the ingredients so there’s no guesswork. Again this could be something you only need to do once, like weighing the peanut butter on your toast. It might sound like overkill, but a thickly buttered piece could have an extra hundred calories on it, and that makes a difference. If i’m at a restaurant i’ll use the search function – sometimes you’ll get an exact match, sometimes you have to make do with a best guess. This isn’t ideal but it’s a million miles ahead of not tracking at all. Think of calorie counting as navigation, you might reach your destination without checking a map, but using one ensures you stay on track. Doing some resistance training, in other words lifting weights, is really important. If you burn more energy than you consume from food, your body needs to make up the difference. Your body can choose to burn muscle or fat. If you aren’t using your muscles it’s going to eat into those as well as fat. If you want to keep the number of calories your body’s burning every day high (Hint: you do! ), then holding onto muscle is a major priority. You need to be lifting, and lifting quite heavy, so your body knows your muscles are there to stay. If you don’t exercise at all, then two days a week lifting weights would be good, but three would be better for you. After you warm up, you only need to do two or three exercises. Pick exercises that use the bigger muscles in your body like your legs. Try a squat or leg press, and something for your upper body like a lat pull-down or bench press. Machines are fine here but if you’re wanting to play sports and run around then free weights are better. Try 3 heavy sets of 5 reps on each exercise, with 3 minutes rest you’ll be done in about half an hour. Again i’m not writing you a program, if you want to do 3 sets of 8 reps or 4 sets of 6 reps that’s fine. 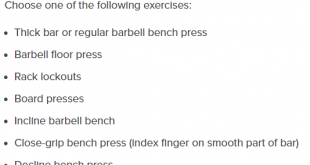 Bear in mind if you can do more than ~12 reps it means the weight isn’t heavy enough. It’s a great idea to include conditioning days for your overall fitness. These should be at most 20 minutes long, less if it’s an intense exercise. A good template is to exercise for a number of seconds, then rest for up to twice that number, and repeat several times. 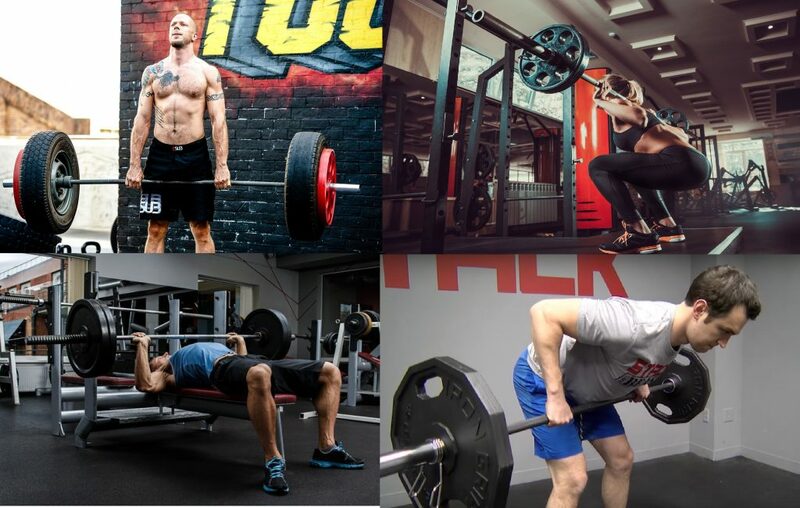 You can do press-ups, squats, squat jumps, running, rowing, cycling, it’s all beneficial. When people think fat loss they think long runs in the park or on the treadmill. Doing that might burn more calories while you’re doing it, but your body burns extra calories recovering from the shorter, more intense conditioning. When you compare the two… conditioning wins. One thing that’s very popular with the fitness community is walking before breakfast, known as fasted walking. It’s called this because you haven’t eaten for about 10 hours, so your body isn’t digesting food and is primed to burn fat, particularly in a low intensity exercise like walking. You can take something called amino acids, which are proteins, and 3 to 5 grams can stop your body choosing to burn muscle on the walk. 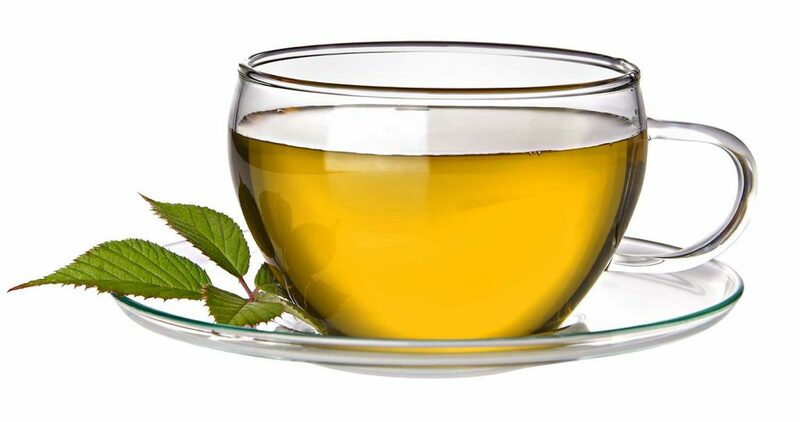 Green tea is also a good beverage prior to this, as that helps mobilise fat for burning. A final suggestion is to look for opportunities to burn an extra few calories in your day. Standing instead of sitting, walking instead of taking the car and taking cold showers can all give you an extra calorie burn. As I said before, one pound of fat contains 3,500 calories. You’ll read most online articles and they’ll tell you to lower your calories by 500. They say this because 500 x 7 is 3,500, so that way you lose 1 pound a week. While 1 lb a week is a good target for weight loss, it’s much better to increase your activity levels and burn some of those 500 calories that way. Now that’s sorted, here’s a better approach: ease in gradually. There should be some obvious places in your diet where you can cut down on calories. Are you snacking between meals? Do you always eat dessert? Do you eat sensibly all week then go crazy at weekends? As I said, tracking your intake with an app like MyFitnessPal takes out a lot of the hassle. The aim in the first week should be to reduce your calories by 100-200 per day. This way your body has time to adapt to the change, you limit your hunger pains, and losing weight will feel less like a chore. Where the calories come from will depend on your eating habits, but they should almost certainly NOT come from protein. I covered the importance of holding onto muscle during weight loss, and for that reason protein (the building blocks of muscle) is vital for a fat loss diet. A good rule of thumb is up to 2 grams of protein per kg bodyweight. If you weigh 50kg, aim for 90-100g protein per day, 100kg, try 180-200g per day. Whether you decide to cut carbohydrate or fat is down to personal preference. Avoid going much lower than 1 gram of fat per kg bodyweight as below this it will start negatively impacting your hormones. For carbohydrate, unless you are following a ketogenic diet then keep carbohydrate above 100 grams per day. 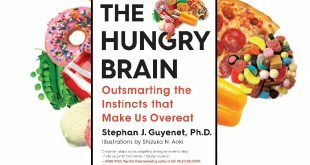 Your brain runs on carbohydrates and this is roughly how much it requires in a day. You will find as you approach 100 grams per day you might feel dizzy, lightheaded or suffer from irritability and memory problems. The ketogenic diet works by teaching your body to fuel your brain on fats, which it can only learn if you go below 40 grams/day of carbs for an extended period. This is known as becoming “fat adapted”, which I won’t cover here. If you are feeling good in your calorie deficit, you can then take your intake down by another 100-200 calories if required. Exercise will likely boost your energy burn by a few hundred calories, so it may not be necessary. 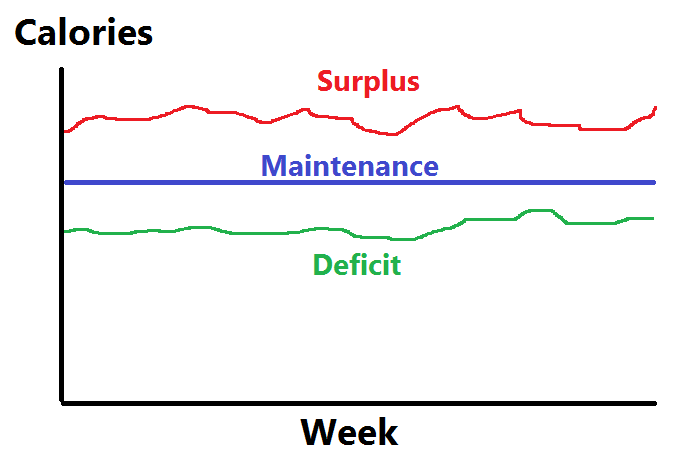 Losing 0.5-1lb per week is ideal, which equates to a deficit of 250-500 kcal/day. 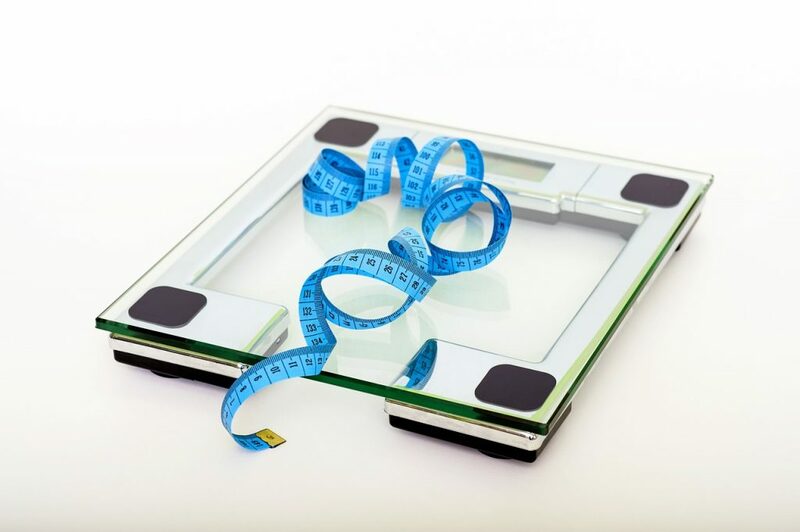 When it comes to tracking your progress, you have three main tools: the scales, the mirror and the measuring tape. I would recommend weighing yourself every 3-4 days and keeping track of those numbers in a spreadsheet or app. It’s really important not to obsess over the short term differences as your weight fluctuates by up to 5 lbs within a single day. At the same time of day. First thing in the morning is a popular choice. On the same days of the week. Twice a week is ideal, e.g. Monday morning and Friday morning. Note: If you have been on a high carb diet, switching to lower carb will likely result in losing a lot of water weight. That could mean 3-4lbs in the very first week. This drop in weight is a one time deal and not to be expected beyond the first week. Looking better is a very common reason to lose weight, so it makes sense to keep an eye on how you look. As with weighing yourself, twice a week is likely enough. It’s very beneficial to take progress pictures, as you might not notice differences week to week, but month to month it should be visible. Wear tight or revealing clothes. The picture is just for you, so you should be able to see key areas like your belly. Pick the same time of day. As your weight fluctuates, so will your appearance due to bloating etc. Use the same lighting. Sunlight vs. artificial light can make as big a difference as time of day, if not more-so. Front, Back and Sides. Stand upright but include pictures from the back and sides for a good overall view. It’s often difficult to measure arms and legs as the tape position can influence the readings. If you do plan to measure yourself, stick to chest and waist, perhaps thighs if you feel you can be consistent. As with the other tools, keep a record, measure twice a week on the same days and at the same time of day. Progress is often SLOW. Much slower than you think. Don’t panic yourself into doing two hours of running a day and only eating lettuce leaves, be patient. You likely didn’t put on all the weight in a month, so it’s not going to come off in a month. Some people spend years eating unhealthily and not exercising, then expect to reverse it in 4 weeks. If it were that easy, we wouldn’t have an obesity epidemic. Once you have a few weeks worth of progress pictures you can look back at your very first day and take comfort in how far you’ve come from then. One thing I haven’t mentioned is the importance of WHEN you eat. The two important macro-nutrients for losing fat are protein and carbohydrate. You should have a good amount of protein with every meal, and avoid carbs in the few hours before and during exercise. Any carbs you eat in that window are going to blunt your fat burning for up to 6 hours, so you want to avoid any sugary pre-workout drinks or fruit. One thing you can take in that time is caffeine, which increases fat burning. Bear in mind if you train in the evenings don’t take caffeine if it will stop you sleeping. I’m also an advocate of Time Restricted Eating. From my first bite of breakfast to my last bite of dinner is under 10 hours. This gives me at least 14 hours every day where my body is going without food and and that helps control my insulin levels and keeps me primed for fat loss. As with everything, start this gradually. At first I limited my eating to a 12 hour window, which was tough for the first week. I then spent a few weeks at 11 hours before settling on 10, and now I often fit it all in 9 hours. 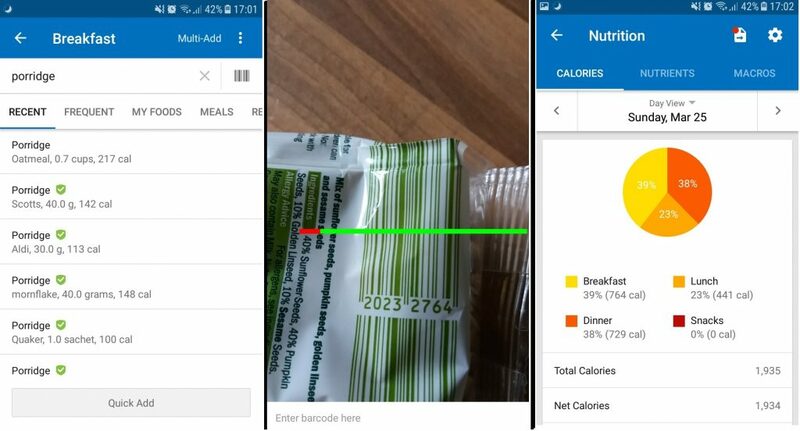 For the BEST results track all your food every day using an app like MyFitnessPal. Weigh yourself every 3 or 4 days, and do the same with progress pictures or body measurements. Let your body tell you what calorie deficit it can handle, and find it gradually. It’s not worth stressing your body just to reach your goal weight one week earlier, weight loss is not a race. Eat healthy foods. Since you’re getting fewer calories, each calorie has more responsibility to deliver nutrients. Pack those meals out with vegetables, start your day with a green tea and make sure you get enough protein. Time restricted eating. This isn’t essential but I really like it. I started with 12 hours and that was quite hard. It felt like I was doing a fasted glucose test. After a week I was fine, and now I can go 15 hours without any fuss. Lift some weights. Tell those muscles you need to keep them, because the more muscle you retain, the faster you burn fat. 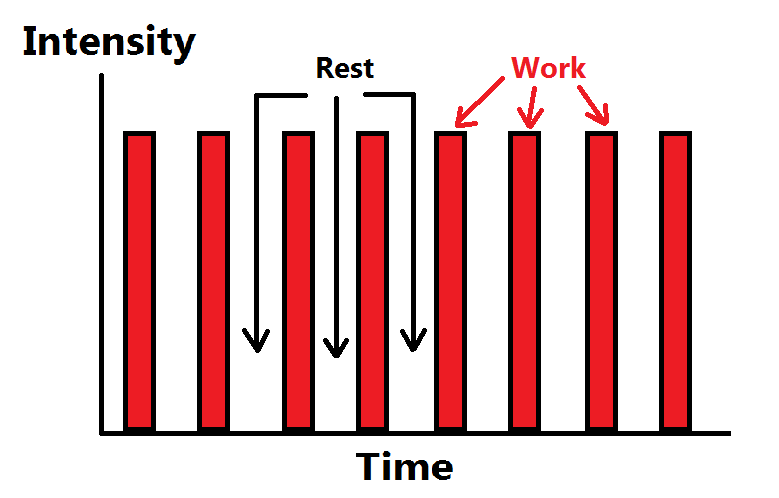 For cardio, intensity is more important than duration. Instead of a 60 minute run, try 10 rounds of 20 seconds running, 40 seconds rest. Remember to speak to your doctor before you attempt any intense exercise. Do some fasted walking. If you wanted you could do it every day, just take some amino acids (optional but recommended) and green tea to optimise the fat burn. Find those opportunities to burn some extra calories. That’s the stairs instead of the lift, walking instead of driving short distances and standing instead of sitting. It all adds up. Finally, don’t rush it. Weight loss shouldn’t be your every thought. Be sensible but don’t shut yourself away from social interactions and remember every day could be the heaviest you’ll ever weigh again. All these shows like The Biggest Loser might make weight loss look like a competition. Did you know roughly 9 out of 10 people who lose a lot of weight will put it back on within 5 years. Be the tortoise, not the hare.